An abandoned factory sat at the edge of a residential neighborhood in Bordentown. Its boarded-up windows were an unsightly contrast to the well-cared-for homes, lawns, and baseball diamond nearby. But the vacant building had a distinguished history. 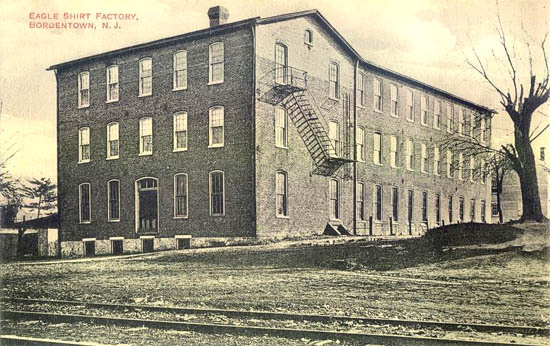 Built in 1882, it was a clothing factory for nearly 100 years. The building housed the Eagle Shirt Company and, later on, the Union Pants Manufacturing Company, until it closed in 1980. 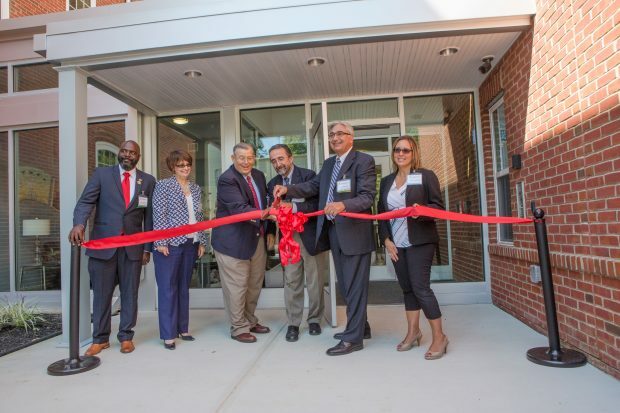 Mission First Housing Group, a Philadelphia-based nonprofit developer focused on affordable housing, learned about the property through a painting contractor who was a Bordentown resident. 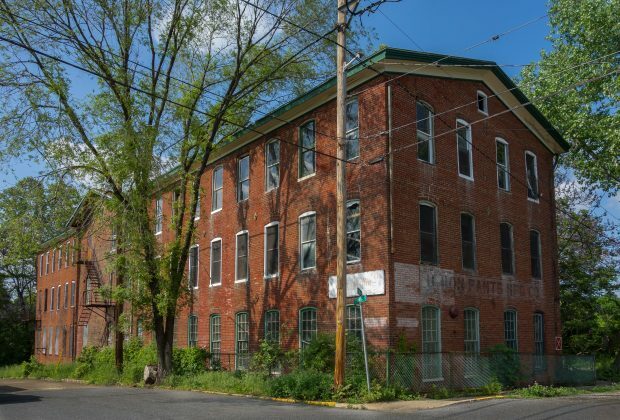 To Mission First, the abandoned factory represented an opportunity: a chance to pursue the organization’s mission in New Jersey while combining elements of neighborhood revitalization, affordable housing for seniors and veterans, sustainable building practices, and historic renovation. 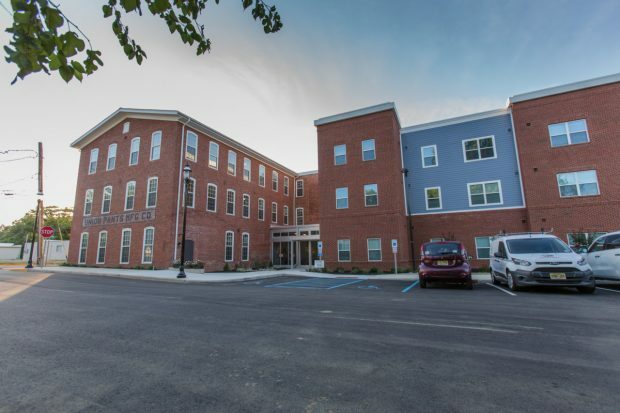 Mission First Housing Group partnered with the City of Bordentown to develop plans for the project, working closely with the mayor and the head of the planning commission. 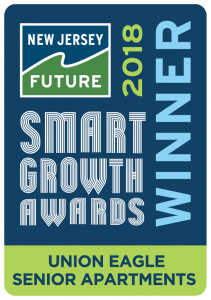 New Jersey Housing and Mortgage Finance Agency provided funding, as well as competitive 9 percent federal Low-Income Housing Tax Credits. These tax credits generated approximately $10.3 million in private equity, which funded most of the project. The project also received funding from Wells Fargo Bank, Burlington County, and the Federal Home Loan Banks of Pittsburgh and Atlanta. To achieve its vision, Mission First overcame several project challenges. Although the developer anticipated some environmental and structural difficulties with a historic building, and had set funding aside for these purposes, Mission First had to use additional construction contingency funds to meet the full cost of remediation. Furthermore, the land designated for the new segment of the building — which formerly had been owned by Ocean Spray until it was acquired by the City of Bordentown — had been used as an unpermitted dumping ground, and had environmental soil problems. Mission First broke ground on the project in May 2015, and the finished Union Eagle Senior Apartments held its grand opening in September 2016. The apartments include 48 units that address a critical shortage of affordable senior housing in the area. 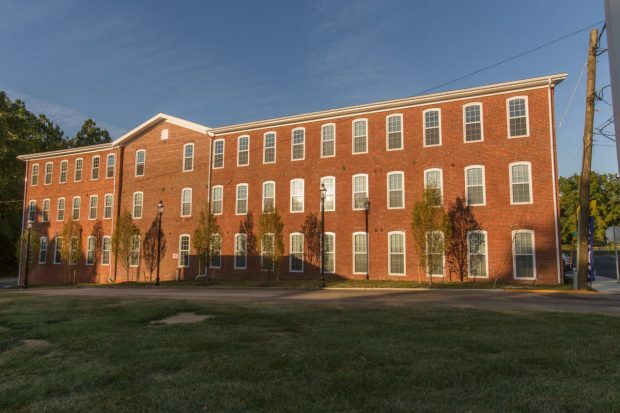 This includes 21 one-bedroom apartments within the existing factory building and 27 apartments in a new three-story building next to the factory. The apartments are intended for people age 55 and over who earn at or below 60 percent of the area median income. Five units are designated for homeless veterans with incomes at or below 20 percent of area median income. 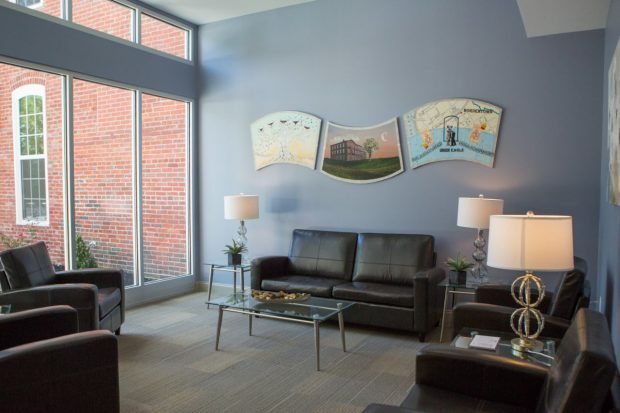 Within walking distance of downtown shopping, a public park, and the Bordentown stop on the River Line light rail, the apartments offer residents numerous amenities without the need for a car. Certain features of the apartments were designed with climate resilience in mind. The building’s high-efficiency envelope, which prevents thermal and air leakage, allows residents to shelter in place for a longer period than if the building had simply met requirements set by code. Additionally, the building has an onsite power generator that allows for continued operation during a power outage or a natural disaster. The property incorporates green infrastructure and a detention basin in order to manage stormwater onsite. The detention basin is bordered by native and adapted plantings, and can infiltrate 100 percent of a one-year storm. The factory building was also renovated—and the new segment constructed—to meet sustainability certifications. The apartments meet the requirements of New Jersey’s ENERGY Efficient Homes and USGBC LEED for Homes programs. The design included continuous insulation through the entire building envelope, high-performance windows and doors, balanced heat and moisture recovery ventilation, energy-efficient appliances and equipment, and low volatile organic compound materials for improved indoor air quality. In order to preserve the historic character of the factory, Mission First made sure to abide by requirements set by the building’s historical designation. This included maintaining and restoring historic elements like windows and the masonry façade. Since its opening in 2016, the Union Eagle Senior Apartments has become a vibrant community. Of the 48 units, all but one are occupied. The building has been transformed into a landmark, a residence, and an integral part of the surrounding neighborhood. And a mural in the reception area commemorates the factory’s history, connecting old with new.